Official synopsis: "Since her mother's death, fifteen-year-old Jem has kept a secret. When her eyes meet someone else's, a number pops into her head the date on which they will die. Knowing that nothing lasts forever, Jem avoids relationships, but when she meets a boy called Spider, and they plan a day out together, her life takes a new twist and turn. Waiting for the London Eye, she sees everyone in the queue has the same number - something terrible is going to happen." Numbers is a thriller unlike many I have ever read. It's gritty. Powerful. Highly addictive and real. What if you could see the date that someone was going to die? What would you do? What would you say? Fifteen year old Jem has always detached herself from others. She has a gift: she can foretell the date that people will die when she looks into their eyes. Her mother died of a drug overdose and ever since she has been jostled around, from home to home. She prefers to wander the streets by day, skipping school. She's alone, feels alone, and prefers to be that way. A troubled young girl, who struggles to handle her gift, often seen as a curse. But then she meet's Spider. Spider is one of the most lovable characters I've had the fortune to read for a while. He's just one of those people you can't help but be drawn to. He's enthusiastic about life. And doesn't give Jem a choice as to how close they get. The concept of being able to 'fortell death' isn't new. It's been done before. But Rachel Ward has succeeded in breathing new life into an old idea. It's fresh. Very different. And very real. The book doesn't just deal with the paranormal idea of Jem's gift. They have to suffer at the hands of a cruel teacher who mocks them on a daily basis, telling them how they will never amount to anything. Predicting lives of poverty, unemployment, drugs and crime. The shame is that for a lot of people my age, this is a real prospect of life. For me, this only made the book more appealing because it deals with all sorts of issues that effect all teenagers today. The cliffhangers at the end of chapters leave you gasping to read on and the book hurtles towards it's dramatic conclusion. Written with consummate skill, this gripping novel will have you aching for more. 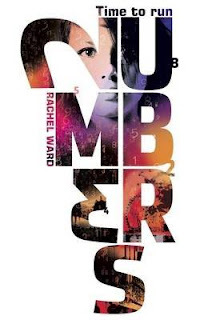 Thankfully, the second book in the series, Numbers 2: The Chaos came out last month! This is definitely a book you do not want to miss out on! This sounds like a great read. I've been wanting to read it for a while actually. I've had this book for awhile, and I really need to bump it up to the top of my TBR pile. I did worry though, that'd I'd hate to finish it without having the sequel to hand..